BCH Orbiter manufacture a complete range of machines for the manufacture of Pies, Tarts, Flans and Quiche.The product range starts with the SP Range, which is a single press head machine for the manufacture of open case products up to a OPL (Orbiting Production Line) which is a multi product system with quick change platen & tooling system. 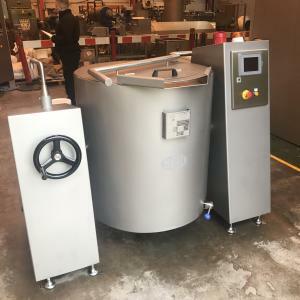 The BCH Orbiter range has been designed specifically for the manufacture of delicious Pies, Tarts, Flans and Quiches. The product range starts with the SP Range, which is a single press head machine for the manufacture of open case products up to the OPL (Orbiting Production Line) which is a multi-product system with quick change platen & tooling system. 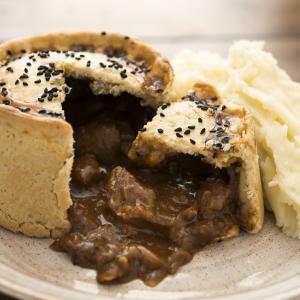 BCH have supplied their high quality cooking and cooling systems for the production of pie fillings to some of the largest convenience food producers worldwide. Large particulate fillings such as steak and chicken are cooked to perfection, with superb taste and texture whilst maintaining their nutritional benefits.